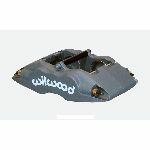 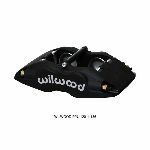 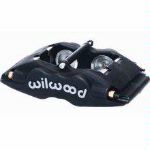 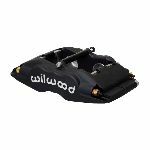 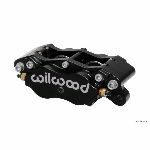 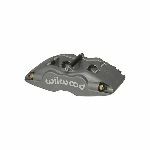 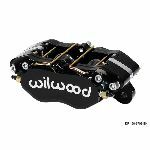 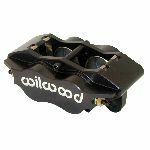 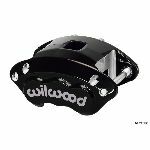 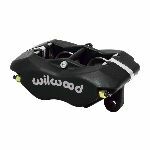 Wilwood's newest race caliper, the D154-R starts with a forged aluminum black anodized body with stainless steel piston. 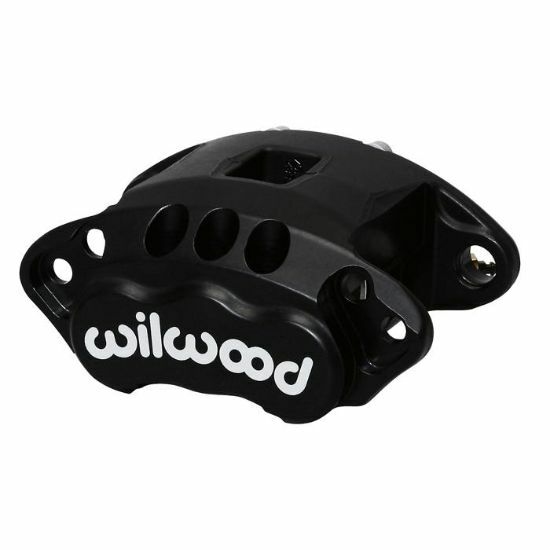 With a choice of 2.50” or 2.00” pistons and covering rotors from .81” to 1.04” thickness up to 12.19” diameter. 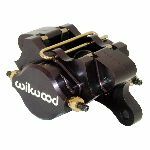 Caliper fluid inlet port centered directly behind the piston eliminates any interference with slide pins. 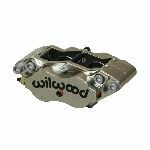 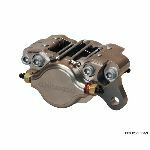 Lower deflection rate and higher volumetric efficiency than all the competitions’ heavier cast models, D154-R calipers with a 2.50" piston weighs only 3.3 pounds and use standard metric D154 pads. 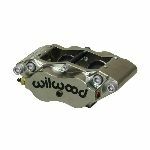 Caliper mounting uses stock height and offset.